COMMENT/MEDIA: The Times of London recycles Kerbaj? Richard Kerbaj, formerly of The Australian and author of numerous articles displaying his Lebanese-and-Arabic-speaking skills, has now moved to London to take up a post at The Times. 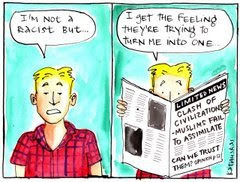 Both The Australian and The Times are owned by Rupert "Muslims-marry-their-cousins" Murdoch. 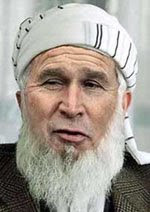 You can check out Kerbaj's skills at reporting on radical thick-Sheiks by clicking here. Also interesting is correspondence sent by ABC's Media Watch here. You can also read Imam Sheik Ayatollah Hujjat al-Islam Khoury Sayyid Michael Stutchbury's response clarifying Kerbaj's Arabic-language skills here. Kerbaj's latest piece in The Times actually isn't so bad. He discusses plans to purge "Muslim spiritual leaders" who turn a blind eye to violence against women. In theory, it might well be a good idea. Lay persons shouldn't get away with turning a blind eye to violence against women. Why should religious leaders? I'm not sure if Kerbaj will focuss much of his time at The Times focussing on UK Muslim issues. But just how qualified is he for this task? Does Kerbaj have any clue who leads the liturgy and educational needs of Britain's various Muslim sects and cultural groups? Can Kerbaj identify one maslaq from another? Does he understand the differences between various shades of Deobandi, Barelwi and Ahl-i-Hadith? Does Kerbaj speak Urdu or Bangla? These questions are pertinent. After all, in Australia so much of Kerbaj's information came from various Lebanese groups whose political nuances he had little understanding of, despite his own Lebanese heritage. Much of Kerbaj's information on Aussie Muslim management issues came from followers of Abdullah Hareri and the al-Ahbash sect. One wonders whether in London, Kerbaj's sources come from the equal and opposite of al-Ahbash i.e. the followers of Nazim al-Qubrussi (attacked on an al-Ahbash website here) and and his student Hisham Kabbani? One of Kerbaj's main sources in his recent story is Irfan al-Alawi from the UK branch of the Centre for Islamic Pluralism. Al-Alawi claims to be a follower of a Yemeni Sufi master who has close associations with Imam Hamza Yusuf Hanson of the Zaytuna Institute. 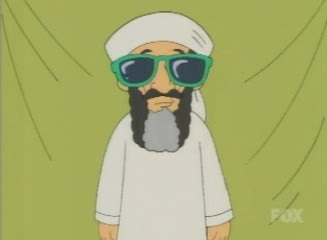 During its investigation the organisation - the British arm of a longestablished US think-tank - received a number of complaints about imams who had turned a blind eye to cases of domestic violence, many of whom are followers of Wahabbism, a puritanical interpretation of the Koran espoused by Osama bin Laden. Some readers may wonder why a White Ribbon Day Ambassador like me should object to a report the publication of which is clearly in the public interest. Surely religious leaders of any congregation turning a blind eye to domestic violence must be exposed and shamed. Why should Muslims be any exception? Muslim spiritual leaders could be denounced publicly by their own community as part of a campaign to expose imams whose silence on domestic abuse is leading to women being burnt, lashed and raped in the name of Islam. Muslim scholars are to present the Government with the names of imams who are alleged by members of their own communities to have refused to help abused women. Imams are also accused of refusing to speak out against domestic abuse in their sermons because they fear losing their clerical salaries and being sacked for broaching a “taboo” subject. Some of Britain's most prominent moderate imams and female Muslim leaders have backed the campaign, urging the Home Office to vet more carefully Islamic spiritual leaders coming to Britain to weed out hardliners. A four-month inquiry by the Centre for Islamic Pluralism into domestic abuse has uncovered harrowing tales of women being raped, burnt by cigarettes and lashed with belts by their husbands, who believe it is their religious right to mistreat them. At least 40 female Muslim victims and many social workers from northern England - including Bradford, Manchester, Leeds and Birmingham - were interviewed as part of the inquiry, which is expected to be published next month. And why should someone like yours truly, who has a history of criticising a young Sydney imam and a former Australian Mufti for their ignorant and dangerous comments on sexual assault victims, have a problem with Kerbaj doing the same? ... accused of radicalising young British Muslims with its orthodox teachings. But my real objection to Kerbaj's article (at least based on my own reading of it) is the same as my objection to any attempt to focus on one group of domestic violence perpetrators whilst ignoring another group. Or my objections to scribes, pundits and politicians behaving like defenders of sexual violence victims when it suits their prejudices. When sexual assault becomes a cultural or sectarian wedge, it demeans and insults the suffering of all victims and their families. It also opens to question our society's commitment to unconditionally ending violence against women. a. Is the CIP the first and/or only UK Muslim group to tackle community attitudes toward domestic violence? b. What standing does CIP have in mainstream British Muslim circles? I'm not just talking about religious circles but also cultural (e.g. South Asian) and language (e.g. Hindi/Urdu, Punjabi and Bangla) circles. There are other factors to consider. Perhaps Kerbaj would have factored all these points in if he'd been provided with a more generous word length. And as I've already said above, Kerbaj's article isn't as bad as his past work, some of which does little more than perpetuate a Team America take on Muslims. When it comes to identifying Islamic sectarian nuances, at times Kerbaj has tripped over even the most basic kindergarten stuff. UK readers of this blog should keep a close eye on Kerbaj's work. At the same time, we should all remember that it often isn't easy for journalists to report on such issues. UPDATE I: Another article (in fact a case study of one victim ignored by her local imams) by Richard Kerbaj is well worth reading. This is really disturbing stuff. We can bag reporters like Kerbaj all we like. But who is going to protect women like 'Aliya'? UPDATE II: I've written about Kerbaj at some length in various Crikey pieces, some of which can be found here, here, here, here, here, here and here. The New Zealand Herald today published a reflection on the recent terrorist attack in Islamabad. You can read it here. I was wondering if his salary as an "illustrious" lawyer, along with his advocacy in favor of Militant Islam, is not enough to feed his chocoholic manners. Something does not match clearly here. So he has to do like homemade workers, looking forward alternatives to sustain his living. A little bit of this, a little bit of that. What a "talented" lawyer. Finally, does anybody know if Irfan Yusuf is married and has children? It is not in his profile at 39 years of age? That's not exactly a path in the muslim community, is that? Poor things, if they come to my country, they won't last one day- what a creature to be bashed. And who knows if the matter, manhood does not play a huge role in their cowardice. This post was accidentally wrongly placed on this blog and has now been moved to its correct place here. 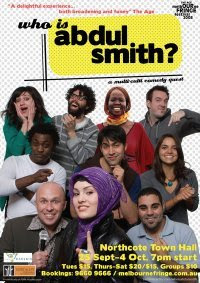 If you are in Melbourne, you must go to the Melbourne Fringe Festival and watch the new comedy show Who Is Abdul Smith? Because if you don't go, you ... um ... er ... well you simply won't know the answer to the question! IMAGINE THE UNITED NATIONS CROSSED WITH AUSTRALIAN IDOL AND DEAL OR NO DEAL. 10 comedians battle it out to prove who is the most "multi-culti" on Australia's favourite TV show: Who is Abdul Smith? - Mohammed El-leissy was part of Fringe 2007's Fear of a Brown Planet, nominated for Best Newcomer. - Sema Kuyruk is Australia's first hijab-wearing stand-up comic, on a one-woman mission to bring hijab back! - Trent McCarthy had a sell-out season with his 2008 Comedy Festival show Turning Sudanese, described by The Age as "a delightful experience, both broadening and funny". - Ajak Kwai, a former Sudanese refugee, is a singer and storyteller who promises not to eat you! - Simon Pampena, the Angry Mathematician, has just toured Australia with his Maths Olympics comedy show as part of National Science Week. 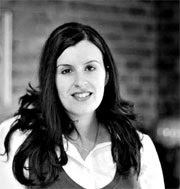 - Farah Faiq is a feisty Iraqi-born gal with a passion for fashion and a razorsharp wit. - Scott Fraser is a frustrated stand-up with a rod in his leg and a chip on his shoulder. - Simon Tengende recently premiered his play Discrit Zimbabwe, using humour to explore the troubled history of his homeland. - Alev Girgin has never been so single in her life, looking for Mr Right among so many Mr Wrongs. - Cameron Farshid McDonald is a half-Iranian, half-Scottish Aussie who doesn't know which part of him dislikes the English more. - plus a different special guest each night! Who will win? Who will lose? And who is Abdul Smith? Momo El-leissy tells me that this show will so damned good, I should be travelling to Melbourne just to see it. He'd better be right or I'll demand a refund. A certain tabloid columnist recently described my writing as tendentious. According to the AskOxford website, the word "tendentious" means: "calculated to promote a particular cause or point of view" The bulk of what I write is opinion and review. So obviously I do promote a point of view. As for whether I promote a cause, I wonder what possible objection the tabloid columnist in question would have to the causes promoted here, here, here and here. The events in Islamabad shook all of us. The disgusting and cowardly attacks against civilians brought home yet again the fact that terrorism affects all people regardless of background, ethnicity and faith. My take on these dastardly acts appeared in The Age here, as well as on the Brisbane Times website here. The New Zealand Herald published this piece I wrote about Western silence on the continued attacks by (pseudo-)Hindu militants against Indian Christians. A recent piece I wrote for Crikey on the documentary Embedded With Sheikh Hilaly broadcast on SBS on 23 September 2008 appears here. Good article, but let me point out that Ramadan is not one of the "sacred months" when there is to be no fighting. I believe they are Dhu-Qa‘da, Dhul-Hijja, Muharram and Rajab. I might add that it is not only the "post-modern left" have hijacked terrorism studies but also the neo-conservative right. Thanks to Professor Shepard for his correction and comment. I have just read the article by Irfan Yusuf your associate editor in the NZ Herald 22/8/08. May I congratulate him for his courage and honesty. I have never seen an article in a New Zealand paper criticizing Hindu and Muslim extremist and government actions against Christian minorities in Asia (especially those who have changed or wish to change their religion). It blew me away! Our politicians and Western media are too secular, anti-Christian and self-interested as well as being scared of the political and trade consequences. Coming from Mr Yusuf they carry great weight and are overdue. I have often thought of contacting our government or some authorities in Asia over this long standing tragedy but have been warned off as it might put local Christians in danger from Islamic and Hindu government security police who constantly harass them or from violent religious extremists. If your protest is taken to heart it will go a long way to right a wrong and convince us that Islam's claim to be a peace loving and tolerant religion isn't just words. However I'm afraid I won't be holding my breath waiting as it has been allowed to become so ingrained and widespread. Well done! I respect you for your stand for what is right. The Hilaly 'documentary' was an exercise in opportunism which didn't work for either the sheikh or the interviewer because both were so clearly inept in the art of ingenuous communication. What positive outcome this show could possibly have delivered remains a mystery, as does the steady decline of the SBS ethos to report intelligently on our multicultural society. I can hear dopes prattle incomprehensibly any day of the week. Both these clowns should retire. I guess all this controversy about the program will do wonders for the ratings. Once again, SBS will be laughing all the way to the bank! Given their positive nett contribution to television in Australia, good luck to them. Well, there's ministerial discretion. And then there's ministerial discretion. Discretion was used by former Immigration Minister in the Howard government, Kevin Andrews, to cancel Dr Haneef's visa after he was granted bail in relation to terrorism charges that were eventually dropped and are now the subject of a Federal Inquiry costing millions of dollars. Almost as much as the original bungled Haneef investigation and prosecution cost. Andrews justified his actions on national security grounds. But in the end, not even Haneef's UK SIM card was a vehicle for terrorism. Another suspect was the subject of more generous ministerial discretion exercised by Andrews' predecessor, Amanda Vanstone. The Age reports today that Vanstone exercised her discretion to allow Francesco Madareffi into the country, arguing it was "in the interest of Australia as a humane and generous society". Madareffi "claimed to suffer serious mental health problems and had been involuntarily admitted to a mental institution during his fight to remain in Australia". Hence Vanstone granted him a permanent spouse visa "as a discretionary and humanitarian act to an individual with a genuine ongoing need". And a friend in need is a friend indeed. Especially if he and members of his family show financial generosity and humanity to Liberal Party coffers and have the support of at least four Liberal MPs. I mean, who cares if the guy was deported by Vanstone's predecessor in 2000 "because of his alleged involvement in serious crimes in Italy in the 1980s, and because he had overstayed his visa and was in Australia as an illegal immigrant"? Let's be sensible about this. Surely a terror suspect not accused of any violence but merely of giving his cousin a SIM card is a greater potential threat to our security than a suspected mafioso. And a name like Francesco sounds far less threatening than Mohammed. On the other hand, as Peter Reith pointed out on the eve of the 2001 Federal Election, those Afghan and Iraqi people on them leaky boats travelling from Indonesia might well be terrorists. The fact that they're escaping terrorism and are victims of governments our armed forces helped overthrow is irrelevant. Clearly their mental health issues weren't serious enough for the Howard government to release them. So there we have it, folks. 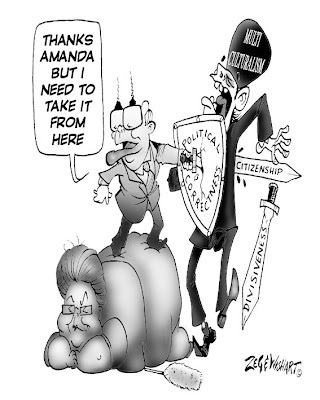 More double standards of the Howard government on national security exposed. Clearly what Dr Haneef should have done is change his name to Francesco, convert to Catholicism and have his wealthy father-in-law donate truckloads of cash to the Liberal Party. As should impoverished Iraqis, Afghans and others (including children) who rotted away under our policy of mandatory detention. In the Howard government, money always spoke the loudest. 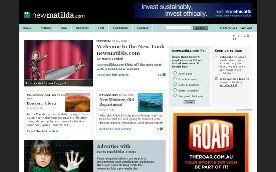 First published in the Crikey daily alert for Tuesday 23 September 2008. If you have friends or family in Brisbane who might be interested please let them know about this event. Brisbanites, don't miss this wonderful opportunity to see one of the most awesome comedic duos Melbourne has to offer. The delightful people at ABC Unleashed have run this piece on the campaign to discredit Barack Obama by focussing on his cultural and religious heritage. Apparently "Barry" (as he was known in Indonesia) Obama used to wear a sarong, and wearing a sarong is a sign that one is a Muslim. I guess that makes my mum a non-Muslim as she prefers to wear a sari. The situation in Pakistan is becoming quite scary. I really hope the new civilian Pakistani government and the US can find a way to fight the scourge of terrorism together. However, the signs aren't terribly positive this far. Here are some of my thoughts in NewMatilda. Less scary is the situation of the Federal Parliamentary Liberal Party. You can find my take on the change in leadership here. In case you don't read far-Right blogs, The Canberra Times and I issued an apology to Mr Daniel Pipes. Yes, I have joined the ever-growing group of illustrous and sensible people to have been threatened by Mr Pipes with some kind of action. I now hope he will answer my prayers and declare me an "Islamist" in the same manner as he has declared such learned gentlemen as Hamza Yusuf Hanson and Professor Khaled Abou el-Fadl. The original article remains on this blog, albeit in edited format. The lesson I have learned from this incident is that the best way to expose Mr Pipes is to quote exactly what he says. His own words provide his numerous critics with sufficient ammunition. Speaking of which, watch Mr Pipes oppose a Middle East peace plan proposed by President George W Bush, accusing the President of rewarding terrorism. In 1998, I decided to take the spiritual plunge. I’d been reading books and articles about Sufism, watching videos about whirling dervishes and immersing myself in the poetry of Rumi a 13th century Afghan-Tajik poet who settled in Konya (in modern Turkey) after his family fled my rather bloodthirsty Mongol ancestors including this lovely chap. Yep, rightwing politics was in my genes! Anyway, I decided it wasn’t enough to imagine life as a Sufi so I became one. I joined a Turkish Sufi order in Auburn. That involved my pledging to my Sufi teacher that I would obey God and observe the sunna (example and teachings) of the Prophet Muhammad. I further pledged that any disobedience to God and the Prophet would represent disobedience to my teacher and therefore a breach of my pledge. or whirling like these real-life dervish dudes! Then again, I wasn’t exactly in salubrious company. One of my fellow Sufis was a Hell’s Angel, who stood next to me at the funeral prayers for my late teacher back in 2003. But now, according to a report in today’s Australian, my simple act of formally pledging allegiance to a Sufi order (known in Arabic as a bay’ah) has just been declared a "Muslim terrorist vow". The report sites unnamed "Australian counter-terrorism agencies" capturing a secret tape recording of the pledge made by some young me to convicted terrorist Abdel Nacer Benbrika in September 2005. The Oz claims this discovery of the bay'ah is a "world first". I'm not sure which world they are living in. Perhaps it is a world where you describe 1.2 billion people as having genetic defects because they marry their cousins. Who knows? The bay’ah is an ancient Arab practice dating back thousands of years. In pre-Islamic Arabia, it was given by members of a tribe to their leader as a kind of substitute to voting. In those days, when Arabia was racked by tribal and internecine wars lasting generations, such pledges were necessary to keep people on side. Arabs regarded keeping one’s word as a mark of honour. The Prophet Muhammad adapted the practice in that he transformed it into a pledge to battle one’s inner ego by pledging to obey God. Each new convert made the pledge. These days, few converts make bay’ah to anyone except themselves. To convert to Islam, all you need to do is recite (preferably in public) an Arabic phrase which is a summary of the more detailed bay’ah formula. In other words, The Oz report effectively suggests that our counter-terrorism agencies now regard the mere act of religious conversion to terrorism. I guess ASIO and the Feds had better start planting secret listening devices in Turkish Sufi houses across Auburn and Broadmeadows. I just hope these devices aren’t knocked out of place by the skirts of overweight whirling dervishes. First published in the Crikey daily alert for Thursday 18 September 2008. For those of you worried about their superannuation savings being fritted away thanks to the near-collapse of Freddie Mae (or should that be Fanny Mac? ), their insurance premiums going up thanks to AIG going broke or their jobs being lost thanks to a general economic downturn, all this really should be the least of your worries. 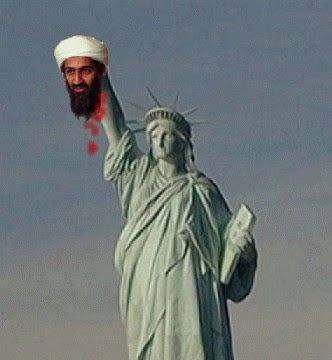 The biggest worry is that Osama bin Laden and his minions could be running Wall Street soon. Writing in The Washington Times, a newspaper whose owner is completely unrelated to any form of religious fundamentalism, Frank Gaffney warns of the dangers of financial products and instruments that comply with Muslim sacred law. Soon, we could be seeing the spread of sharia for complete bankers. ... the infusion of vast quantities of petrodollars, primarily from the Organization of Petroleum Exporting Countries’ Saudi Arabia and other Islamist nations in the Persian Gulf. ... promote Shariah-Compliant Finance and the seditious theo-political agenda it serves. Of course, the owners of The Washington Times have never served any theo-political agenda. Before you know it, nasty beady-eyed Saudi wahhabist ayatollahs will be taking over the US economy, perhaps in the same manner as they took over Griffith University and News Corporation. And what is this Sharia-compliant financing all about? Basically it’s about providing credit without charging riba (an Arabic word which means usury). And does riba include interest charged by conventional financial institutions? Are Muslims religiously prohibited from taking out mortgages? Well, it depends on who you talk to. But so-called sharia-compliant finance also influences how funds managers invest. Or rather, what kinds of companies they invest in. Hence, sharia-compliant funds won’t invest in gambling or p-rnography. This may not be your cup of tea, especially if your surname is Packer or Heffner. But seriously, how does this stuff differ with any other form of ethical investment? In fact, sharia-compliant financing is such a huge threat to Western civilisation that mainstream banks like Citibank and HSBC are leading the crusade to stop the spread of this dangerous creature. Gaffney heads the Centre for Security Policy, a group so committed to national security that it awarded its Keeper Of The Flame Award to such peacemakers as Donald Rumsfeld and Paul Wolfowitz. Yep, in the fantasy world of Rev Moon’s conservatives, interest-free finance is almost as dangerous as free s-x. Disclosure: The writer is paying off a very sharia-uncompliant mortgage. 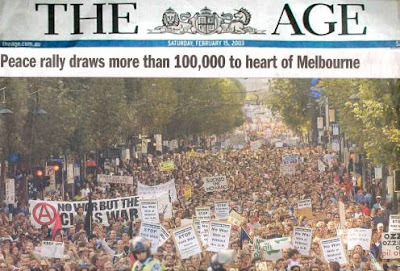 First published in the Crikey daily alert for 17 September 2008. Local government elections have just been concluded across New South Wales. There have been no clear winners, with the ALP obvious losers in most areas. Minor parties and independents have also done well. This was largely an election about local and state issues. But according to one candidate for the Greens, this election was also about the leadership of his local mosque flouting secular traditions and allowing one candidate to address its congregation after Friday prayers. Kuranda Seyfi Seyit, chair of an organisation calling itself the “Forum of Australia’s Islamic Relations”, has spat the dummy after he was out-polled by community independent Izzet Anmak in the elections for one of two wards in Auburn Council. Seyit has approached ABC and claimed that Anmak was endorsed by the executive committee of the Auburn Gallipoli Mosque to run as their candidate, allowing him the opportunity to speak at the mosque on the Friday before the elections. Mr Seyit is quoted by ABC as alleging that Australian Turks have a proud secular tradition, the obvious implication being that the mosque and/or Anmak were part of a plot to introduce political Islam into local government. This is a serious charge to make against a mainstream religious institution that has in the past allowed candidates of all major parties to visit the mosque and address parishioners during local, state and federal elections. Past speakers and visitors have included former Mayor Le Lam and State ALP Member Barbara Perry. Mr Seyit was endorsed by the Greens, a party whose leaders have spoken out against stereotyping of Muslims and other racial and religious minorities. The Greens have supported the cause of asylum seekers and have opposed anti-terrorism laws on the basis that these have been passed in an environment of hysteria. Now, one of their candidates is generating hysteria, accusing a Turkish religious institution of attempting to influence a council election. The imbecilic nature of Mr Seyit’s allegations is obvious. On the one hand, he states that Australian Turks are proud of their secular nature. Turkish secularism places strong emphasis on separating mosque from state. If Aussie Turks shared this passion, surely one would have expected any attempt by the Gallipoli Mosque executive to support a candidate to backfire. 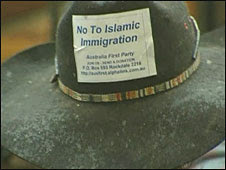 Surely any attempt by the mosque to support Mr Anmak would have worked against him. Mr Seyit’s outburst isn’t without its unintended humour. In a recent e-mail sent out to a Muslim yahoogroup, Mr Seyit stated the real reasons for his anger at the mosque executive. Politics in the mosque should not be tolerated. Not because I am secular … The mosque cannot take sides. when the Mosque allowed Izzet to make a speech to the congregation it really hurt me as that mosque is something that my father worked towards building. My father was sent to Turkey in 1982 by the mosque building committee to raise funds. My father used to teach Quran courses there and we were all a part of the mosque's history. In fact my father was the first Turkish man in Australia to lead the Eid prayer in a small house in Redfern in 1970. By his own admission, Mr Seyit is no great lover of secularism. His main concern is to benefit from mosque resources he believes he is entitled to because of his father’s efforts. Now we await the result and although prior to running I had done the calculations I knew that I would get in without difficulty. Instead, as it stands many of my votes went to Izzet and there is a very high chance that both of us will miss out. I was invited to run by former councillors and that is why I ran, I was assured of their support and knew that I would get the majority of the "Muslim" vote in ward one. Yes, Mr Seyit clearly would have been Auburn Council’s answer to Saladdin, liberating Ward 1 from the nasty crusaders and leading the mythical Muslim voting bloc to political glory. Mr Seyit saw himself as becoming perhaps Auburn’s first Caliph. 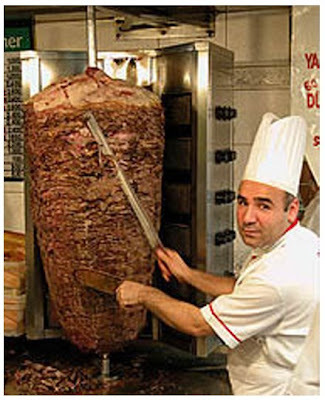 The owwner of the Ozlem Kebabs told me that they wanted to run their own man … and that is why they did not endorse me. They used the every trick in the book to get votes from the Turkish community, with a bottomless pit of money, they placed pressure on most of the kebab shops to vote for their man, they convinced the ALL the Turkish Newspapers to promote their man (because Ozlem and the kebabs are all big advertisers) , they ran large ads every week, and they worked on each every Turkish organisation and soccer club, first and foremost they had the support of the Gallipoli Mosque and the president campaigned hard for their man. Clearly this was a foul-smelling kebab konspiracy, filled with extra garlic sauce. Both Mr Seyit’s ego and his political career seem to have died with a felafel in his hand. Lets all take a Valium and go to sleep till the next election. My response to Gazza is this - I'll be happy to bring the Bavaria if you supply the valiums!